time to set goals for the last quarter of the 2013 finish-a-long and I'm pulling out the big guns ! 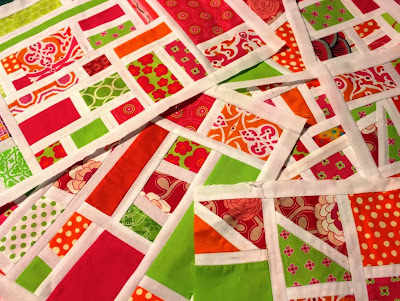 I've got a few blocks of the month from last year that I was going to add to my list this quarter but I'm not sure that I've actually got all the backings etc organised - as I don't want to have a fabric order holding me up I thought I'd re-visit the pile of quilt tops I have in my cupboard. 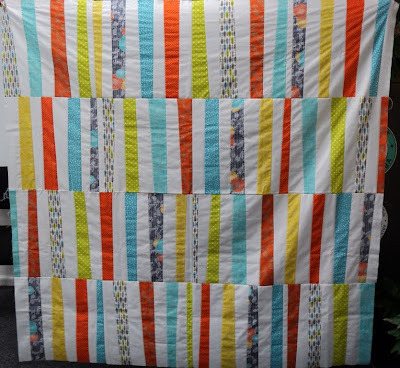 first up is a quilt that I finished in September 2011 - one of the first "big" tops I did - when I pulled it out of the cupboard a few days ago I couldn't believe that I haven't finished it - I love it and now I've decided that I need to see it every day ! I think I was going to hand quilt it but I've now decided it will look good with straight line quilting so I should actually be able to get this done relatively quickly - you would think anyway ! 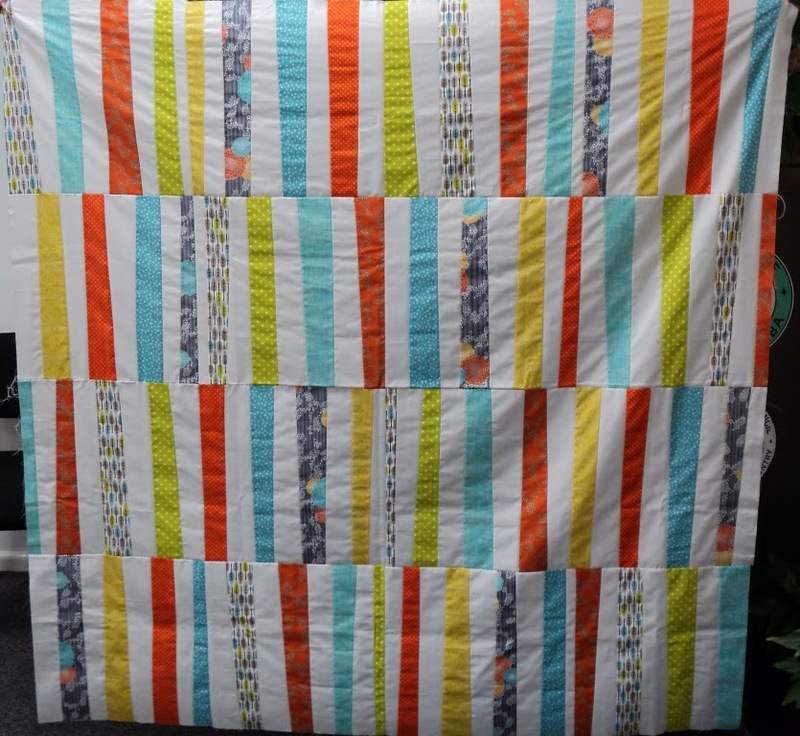 next is my max and whiskers wonky quilt - again I finished this at the end of 2011 and I've decided to stitch in the ditch on the large blocks and then I'm going to hand quilt around the inset blocks - another top that I can't wait to have on display ! 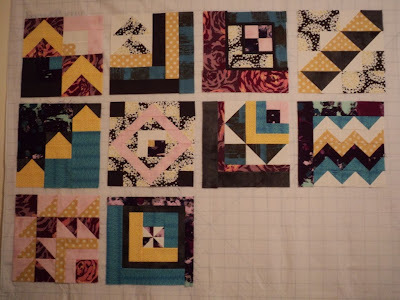 Also going on my list is the pink side of the mod mosaic using the blocks from my design camp 2 - I managed to finish the chartreuse side last quarter so fingers crossed I can get this side done. 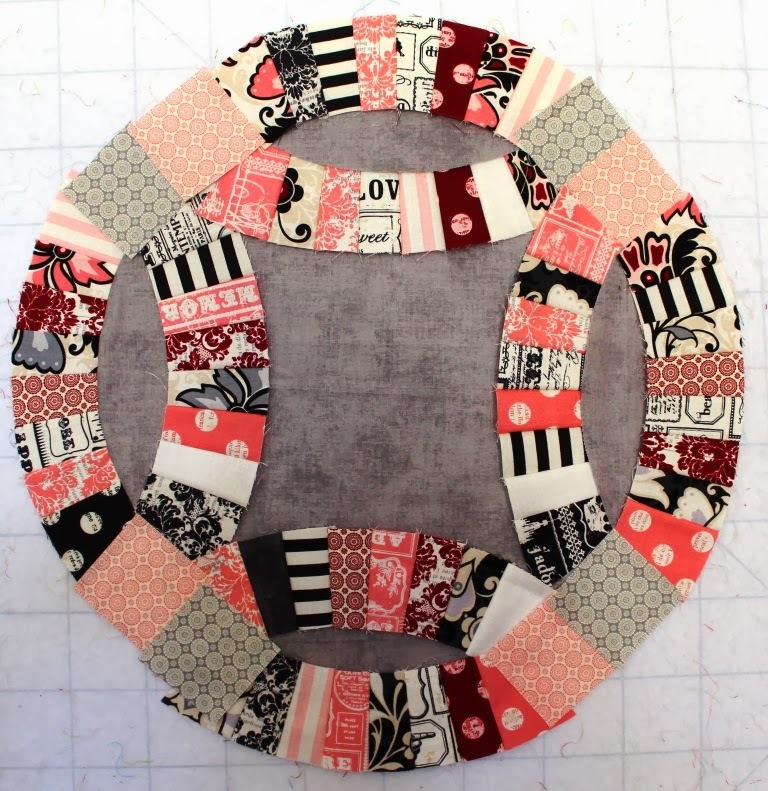 I'm also adding the double wedding ring to this quarter's list - the NYC Mod Quilters challenge deadline is 1 December but if I get it finished by the end of the year I'll be more than happy ! 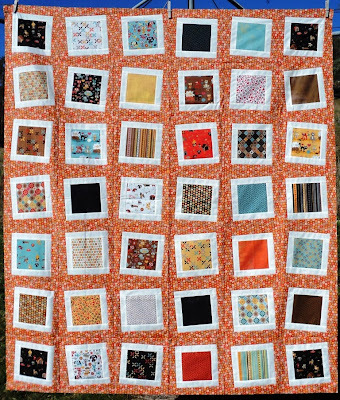 And just to push the envelope I'm adding the bloggers' quilt-uber-fest quilt to the list - this was a quilt fest organised by Scott Hansen from Blue Nickel Studios over 16 days in October 2011 and I decided to join in even though my sewing machine was off getting a new motor - I did manage to finish the blocks in December 2011 so to have the quilt finally finished this year would also be wonderful ! I need to put sashing around all the blocks and sew the top together. 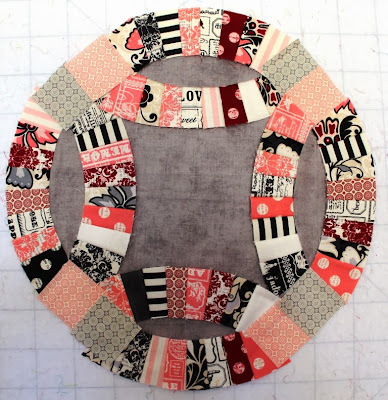 the fabrics I used were a diverse group from designers such as Marcia Derse, Basic Grey, Cloud 9, Anna Maria Horner, and Jay McCarroll. 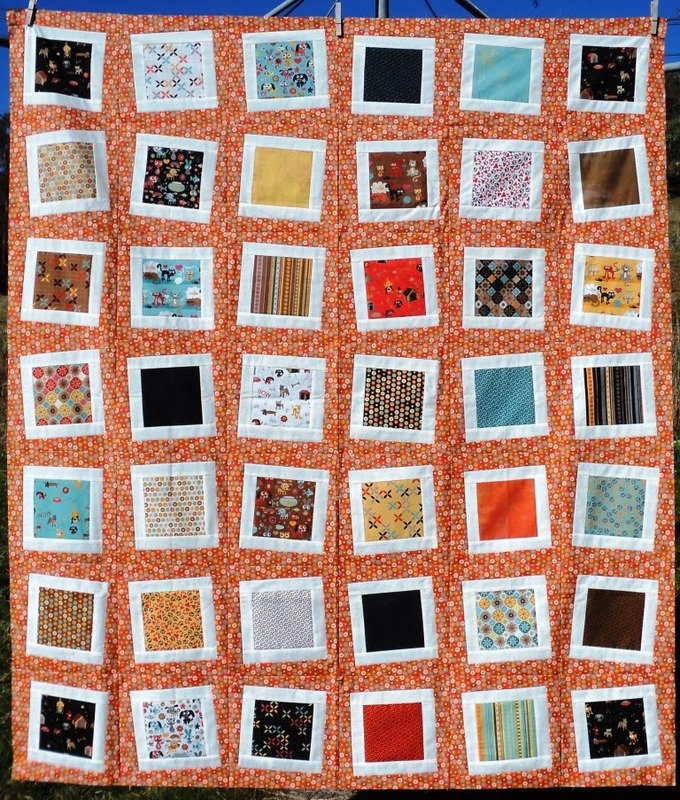 The backing I have for this quilt is art gallery fabrics oval elements called prune brown - two years later and I still think its a terrible colour name! But there is a lot of diversity there - you can do it! I admire your ambition Leanne, good luck! Good for you to give the Q4 FAL a go. I decided not to do it this go-round. I have too many new projects that must be started, for gift-giving and teaching, to have time to spend on any UFOs. Of course, I'm disappointed not to be clearing out the UFO bin in my sewing closet, but they just have to wait until 2014. All my best! What a lovely list! I am glad you are part of the FAL!